What do I need to know about Influencer Marketing? Marketing has undergone an enormous power shift in recent years, driven by consumers’ demand for more authenticity from brands. Consumers expect authentic brand relationships and therefore value the input of influencers that they trust over celebrities that have a perceived monetary relationship to promote products and brands. 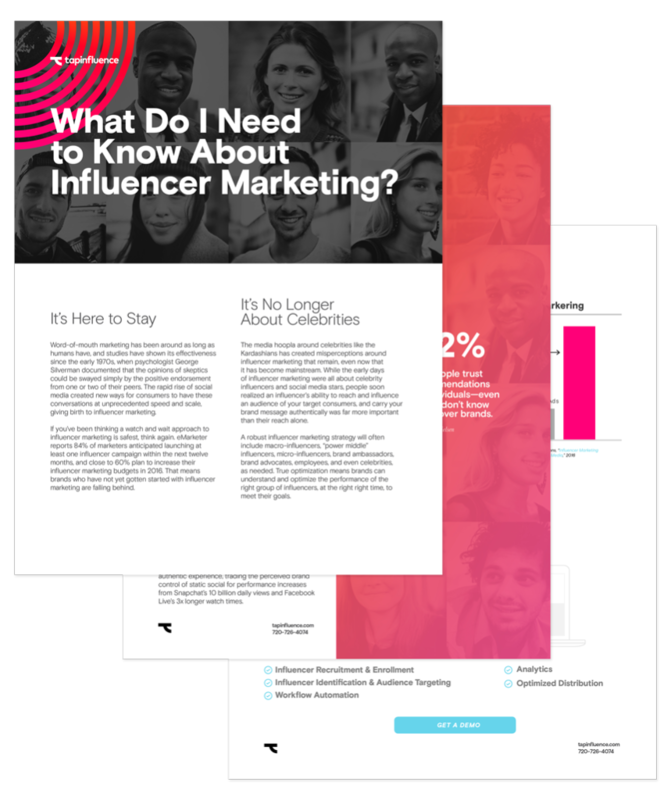 Grab your copy to learn how to unlock the high potential returns of influencer marketing. 92 percent of people trust recommendations from individuals—even if they don’t know them—over brands. Silverman documented that the opinions of skeptics could be swayed simply by the positive endorsement from one or two of their peers. The rapid rise of social media created new ways for consumers to have these conversations at unprecedented speed and scale, giving birth to influencer marketing.